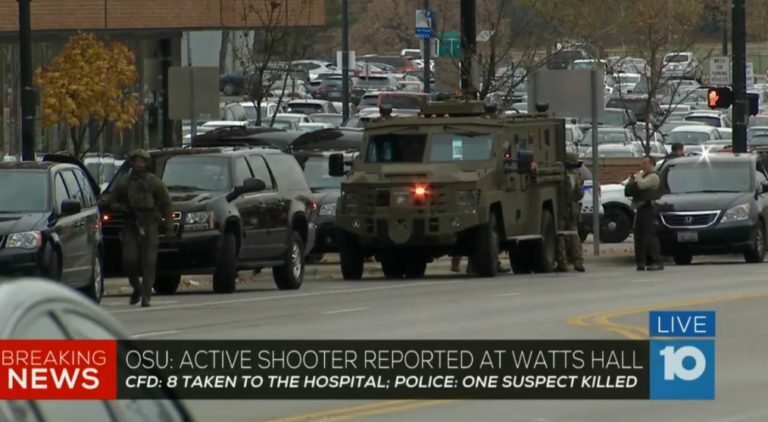 There was a shooting at Ohio State University. Here is an OSU shooter update. Four of the nine injured have gunshot wounds. Police shot and killed at least one of the suspects. News 10 is covering the shooting. They are reporting live from the North OSU Campus. They are at Watts Hall. Currently, they are still in lockdown. 1 person is reported dead as result of the shooting. An active shooter alert is still in place.